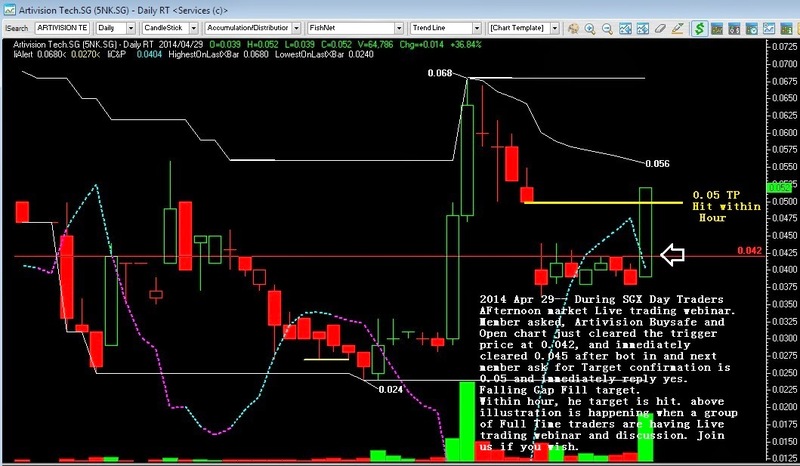 SGX Day Traders: 2014 Apr 29-- During SGX Day Traders Afternoon market Live trading webinar. 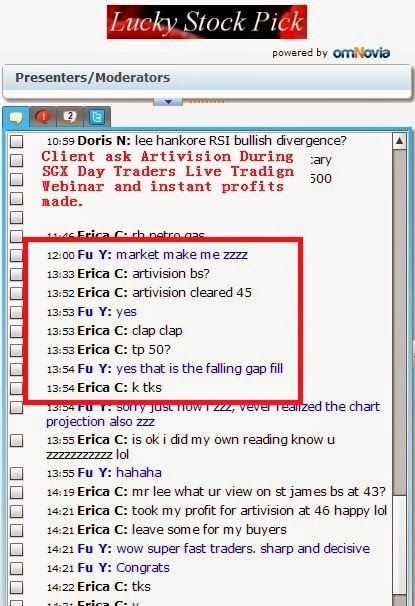 Member asked, Artivision and decisive answer from our veteran Full-time traders given and clients get instant profits. 2014 Apr 29-- During SGX Day Traders Afternoon market Live trading webinar. Member asked, Artivision and decisive answer from our veteran Full-time traders given and clients get instant profits. 2014 Apr 29-- During SGX Day Traders Afternoon market Live trading webinar. 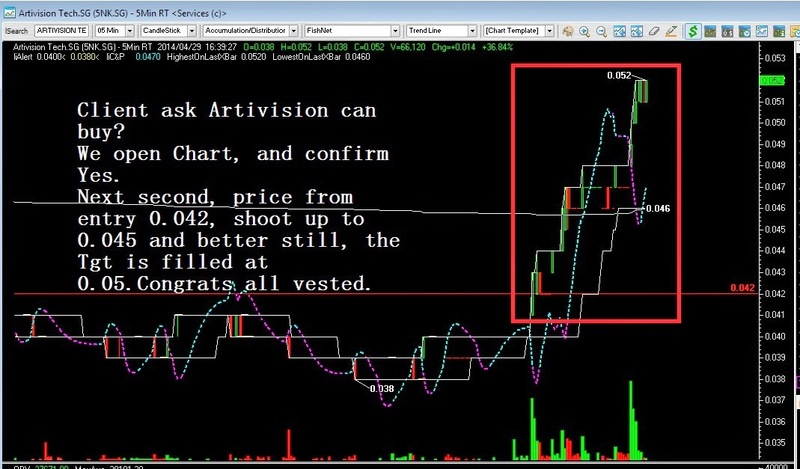 Member asked, Artivision at 0.042 is it Buysafe and We immediately open Artivision chart and noticed its just cleared the trigger price at 0.042, and after bot in Artivision immediately cleared 0.045 and next member ask for Target confirmation is 0.05 and immediately reply yes. Falling Gap Fill target. If you are looking for a decisive and instant reply by a group of Veteran Full-time traders, come and join us today! Click here to fill your particulars. Client ask Artivision can buy? We open Chart, and confirm Yes. Next second, price from entry 0.042, shoot up to 0.045 and better still, the Tgt is filled at 0.05.Congrats all vested. Within hour, he target is hit. above illustration is happening when a group of Full Time traders are having Live trading webinar and discussion. Join us if you wish.